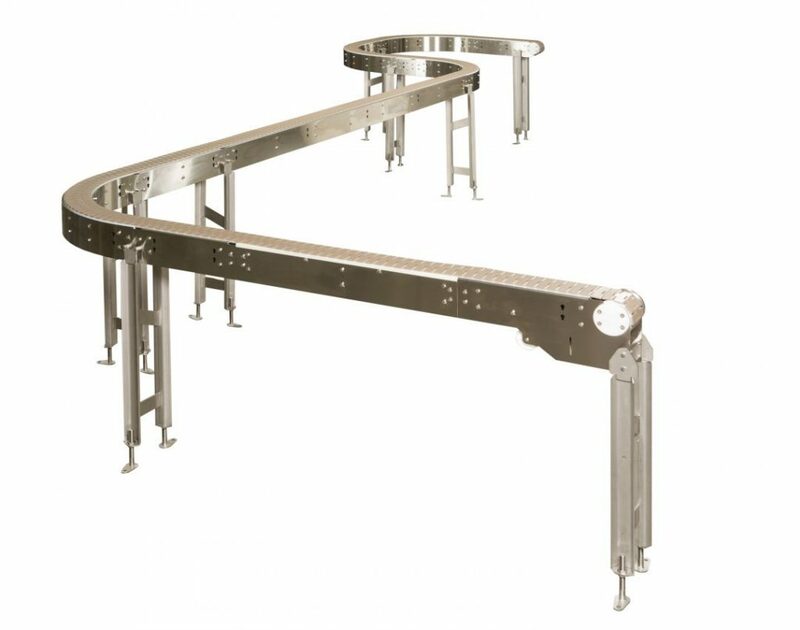 Industry ready stainless steel flexible chain conveyor. Multiple curves can be utilized for maximum flexibility. 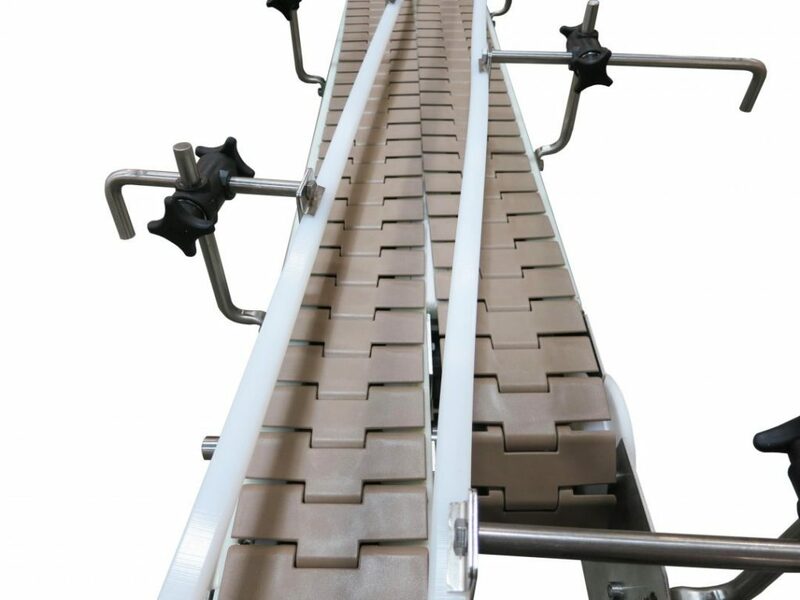 Powered transfer provides smooth in line transition of small parts. 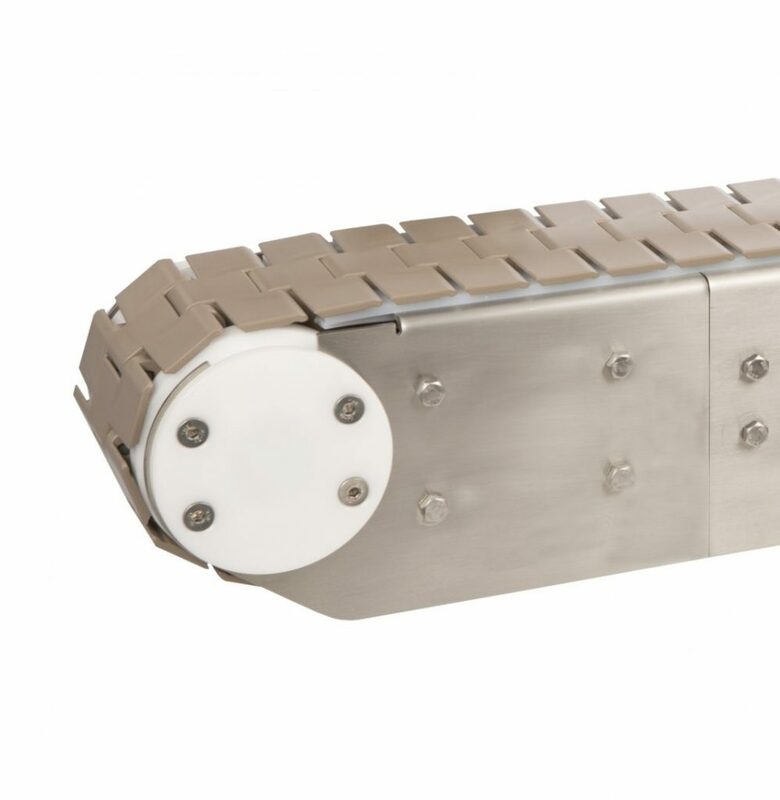 The AquaGard 7100 supports elevation changes through incline and decline modules up to 30 degrees. 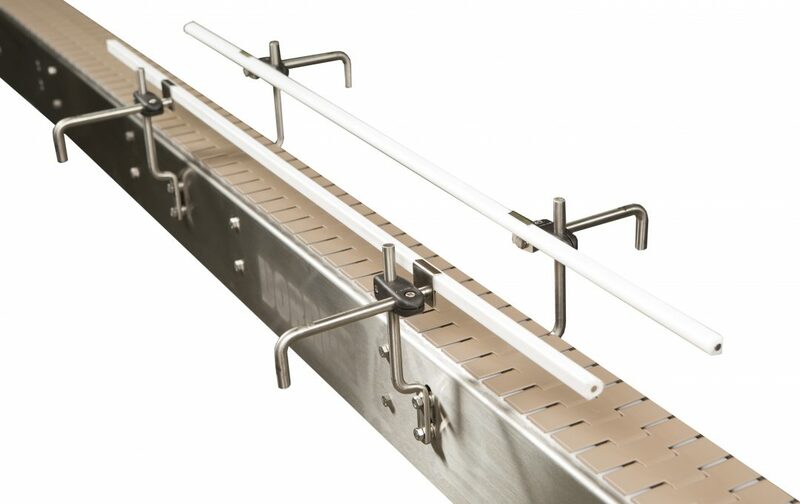 Fully adjustable and stainless high side guiding available. Constructed with FDA approved plastics and 300 series stainless steel. 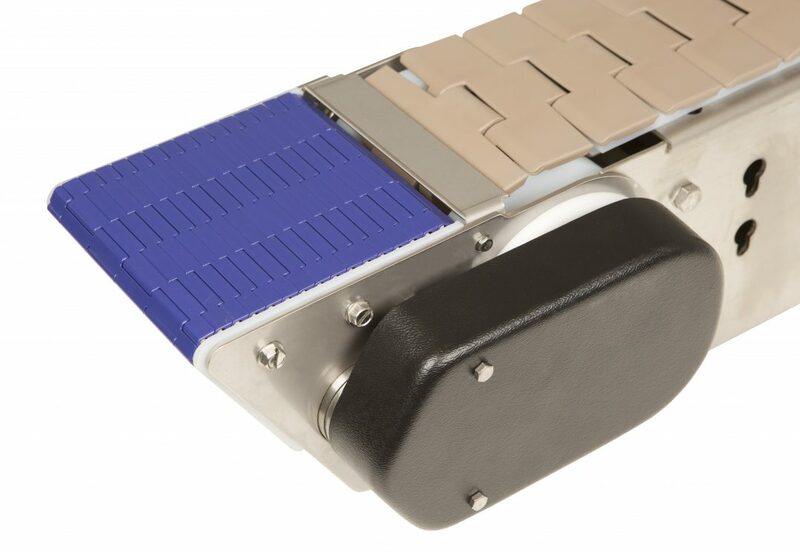 Idler tail has flush design for side transfers and bearings are located inboard. 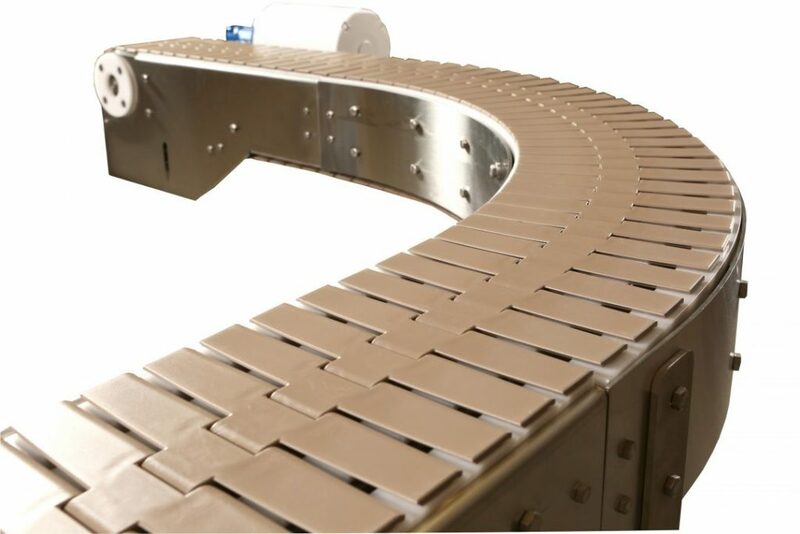 Side transfer module provides capability for product transfers with conveyors side by side. 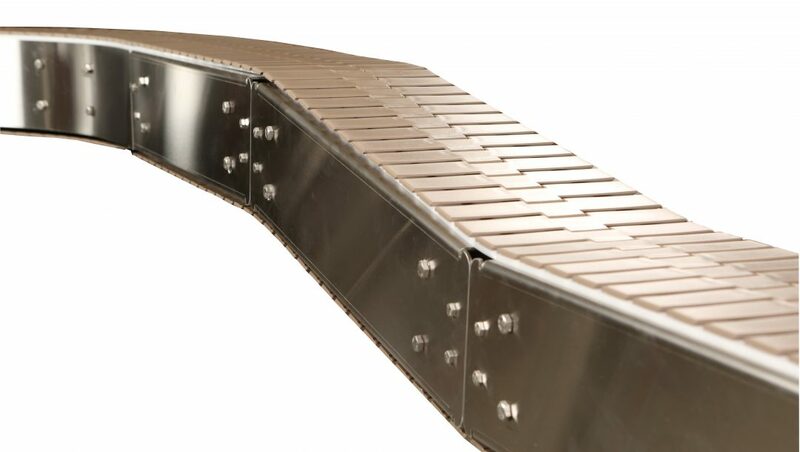 Low Friction, Friction Insert, & Roller Top Chain Available.